Non-performing lenses, tooling errors and a huge amount of optical overstock are a thorn in the side of any lighting organization. The finance department grumbles about the significant budget losses and overstock values, reducing their working capital. Warehouse workers complain about the unused stock positions, while the optical system engineers are basically unhappy about what they developed. In the meantime, the industry continues to evolve at a fast pace and urges new system development. Not a very uncommon scenario. We’re all human, and errors may appear all along the development cycle. But what if those painful write-offs can be re-used for novel system design, or the actual errors can be compensated in a fast, flexible and cost-efficient way? Printing on existing lenses and sheet materials is here to help you out! Luximprint offers the possibility to use existing lenses as a base to grow new optical features from. No matter this concerns overstock items, existing ‘off-the-shelf’ lenses from one of the experts in conventional LED optics fabrication, or simply ‘failed tooling results’. 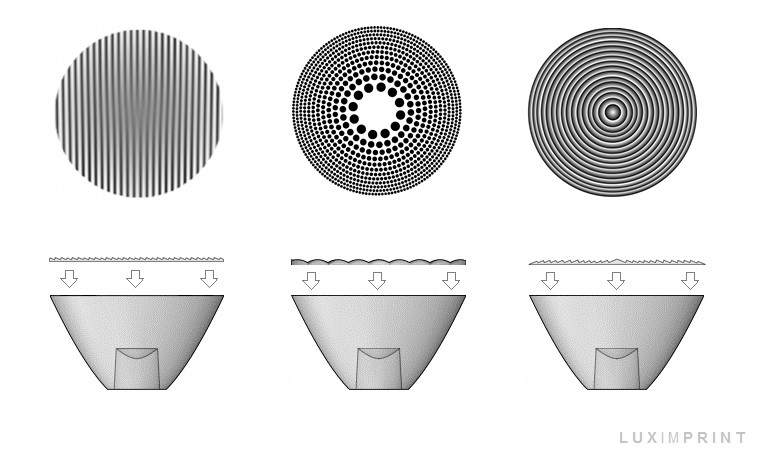 The digital additive optics fabrication process allows application of corrective lens features on a base of existing lenses (single/arrays) and optical sheet materials. Figure 1: Illustration of adding optical features for optimization to an existing TIR lens base with additive optics fabrication. This interesting feature, arising directly from the Luximprint additive optics fabrication process, includes the replacement of the standard ‘substrate’ (sheet material) by any given lens object. As such, any existing lens module can be ‘reworked’ into a new design, by just adding some novel lens features or alternative surface finishes to it. Painful tooling errors, such as unexpected blinding or aberration effects, can be compensated and tested before excessive tooling re-investments or costly tooling iterations are done. From there, a well-considered step can be taken to either rework the existing tooling or order a new one. Figure 2: Optical sheet materials, as for example sourced by Jungbecker, can easily serve as a ‘base’ to kick-start new optical developments from. The lens modules to be used may include bolder lens types such as TIR lenses or lens arrays, or generally flatter sheet materials such as prismatic and light guiding plates, among others. One of the most interesting applications, both from an aesthetical and functional perspective, is the correction of unwanted reflections such as scattering and aberrations to avoid, for example, blinding. The defined frosted finishes are one of the greatest process features to be added to a base of existing lenses of sheet materials. 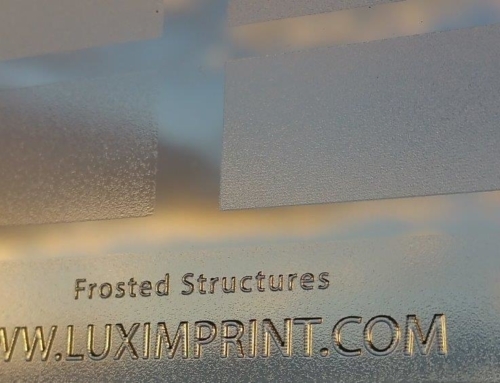 Please refer to our earlier blog post about ‘3D printing Frosted Finishes‘ or our ‘Printed Diffusers‘ product page for further explanations on the application and possibilities. In addition to clear and colorless sheet materials, translucent ‘tinted substrates’ can be used. 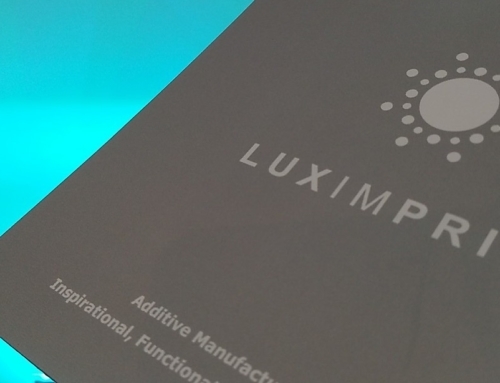 In one of our upcoming blog posts, we’ll address the possibilities with Luximprint additive optics fabrication technology for the creation of custom color lenses in more detail. 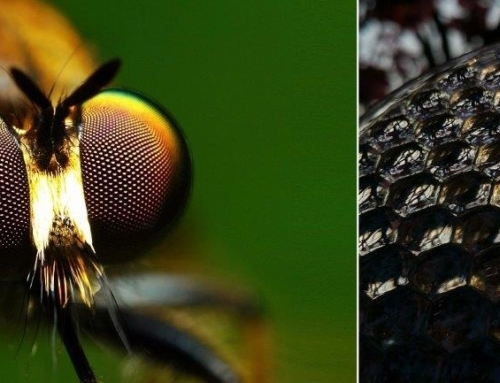 While there are multiple directions to approach it, one interesting way of getting there, is the use of a color substrate to ‘tint’ the optically clear lenses. Figure 3: Color sheet materials can turn non-functional sheets into colored performance optics by adding optical features to it. The Luximprint process, capable of both printing on large format sheets or small individual items, performs optimally on ‘flat surfaces’. As such, the ‘substrate’ we grow the new optical features on, is totally flat. In case the substrate contains features or artifacts, we may be able to ‘overprint’ them, or fill up open sections, but to guarantee a complicated lens structure would be challenging. Same applies for curved base materials: due to the steady and linear movement of the print heads, the distance to target does ideally not differ. If so, significant design changes and setting definitions need to be made to compensate for the correct structure to be built. 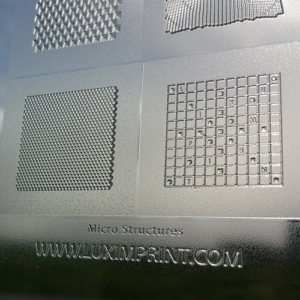 Figure 4: The Luximprint additive optics fabrication process can handle a great variety of sheets and thin-films, both from a size and height perspective. 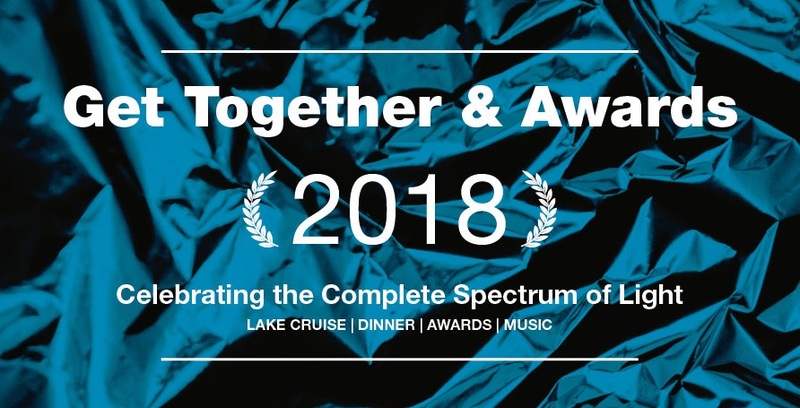 In fact, we can handle a great variety of optical lens bases, sheets, and thin-films in our additive optics fabrication process. However, please note that size and thickness of the base/substrate matters, as an incorrect combination of materials may cause deflection or delamination, or the sheet may simply exceed the build area of our platform. Please make sure you consult one of our engineers for the best and most durable mix of possibilities we can offer. From a volume perspective, like our optical prototyping services, we don’t produce huge volumes. Luximprint focus is on fast, flexible and cost-effective prototyping of individual masterpieces, or small pre-series. We do not offer large-scale fabrication services. While this business model may reduce the possibilities to get rid of your full stock, we remain committed to help you get rid of at least a fraction of the parts, or offer the flexibility to rework any existing lens part you require. Optical features can be added to multiple sides of a given part, as long as they can treat by using Luximprint’s dual-sided printing methodology. Thus, the surfaces to be printed on can be aligned horizontally flat, and a holder can be created easily. Commonly, adding the optical elements and structures remains ‘limited’ to the top and/or bottom side of a part only. Figure 5: Explanation of dual-sided lens printing methodology. Both from an economical and sustainability point of view, the use of standard products and recycling of existing optics for new development is very interesting. Recycling (waste) materials is a huge topic in today’s manufacturing landscape, and joining the mission to green our earth adds value to the corporate image when it comes to implementing the steps to be taken for a greener organization. To discover what we can do for your particular project, please don’t be afraid to talk back and contact one of our sales engineers. 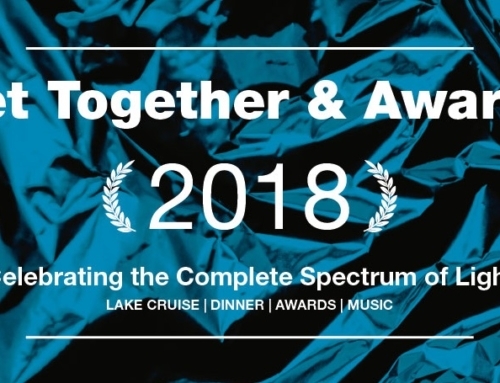 We are always open for ‘unconventional approaches’, please don’t hesitate to challenge us!